Weddings are always special and one thing that really makes it unique is the venue. Sure, you can get married anywhere but for a really spectacular day, why not get married at the beach? The Boathouse Shelley Beach is your ideal Northern Beaches Wedding Venue. Shelly Beach is a western facing beach that is protected from the ocean swell by the reef. The beach itself is beautiful and is perfect for stunning wedding photos, and keep in mind that it is an excellent place to dive, with over 160 species of marine fish – just in case you want to stay awhile and enjoy the amenities and surrounding beach after your wedding. If you have ever wanted the perfect beach wedding, then the Boathouse Shelly Beach is ideal for your special day. The Boathouse Shelly Beach has a water view and a private setting for your wedding. It offers two package options, a Canape Package and a Sit Down Package, and one of them will surely fit your style. The Canape Package serves up to 120 guests and includes a plethora of wedding preparations including a canape style event served with cheese, a cake table that includes the serving ware, a casual seating area, barista style coffee, scented candles, a gift and wishing table, unlimited beverage package, and flower arrangements, landscaped gardens, room candles, and more. The Sit Down Event serves up to 60 guests and you are able to choose a food and beverage package that fits your needs. The Sit Down Event also includes the wedding preparations like the Canape Package and the food and drink choices are plentiful – there are even arrangements that can be made for special food choices and each guest gets a personalised menu and unlimited beverages. Menu items include delectable food choices such as canapes that include BBQ green prawns with preserved lemon aioli, lobster salad and corn biscuits, and Kingfish cerviche with coconut and chili. Mains include items such as local snapper with pea and mint, braised lamb shoulder with basil and eugalo farm veggies, and beef eye filet with watercress and fennel. The sides include vegetables, salads, and potatoes and there are plenty of Jar dessert choices like Boathouse coconut with banana, crumbs, and sorbet or for the chocolate lovers the 70% chocolate mousse with pistachio and crème fraîche. These are just a few of the examples that are offered but there are plenty more on the menu itself so you can choose the perfect meal for the reception. 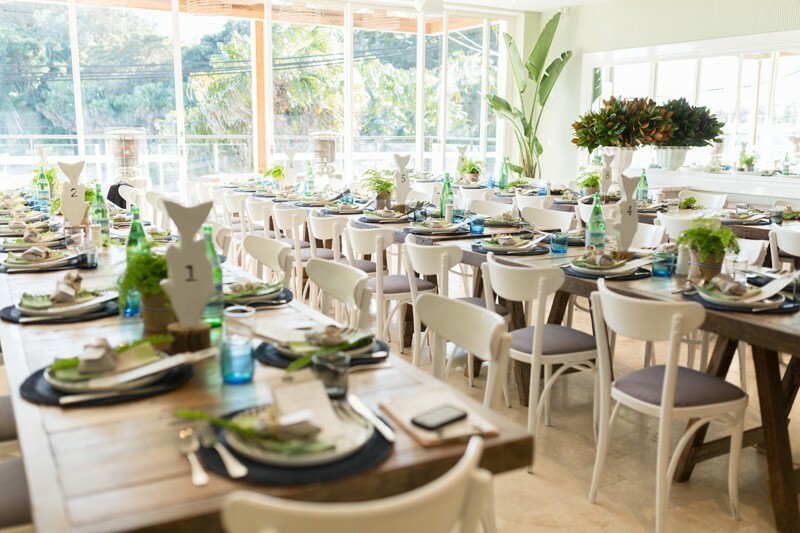 Both the Canape Package and Sit Down Event includes exclusive use of the Boathouse team and The Boathouse Shelly Beach. Part of the inclusions that are included is the five hour package with an entrance to the upper level of The Boathouse via the timber boardwalk. You and your guests will love the large balcony that overlooks Manly and Shelly Beach. The cuisine offered is modern Australian food with a focus on the seaside. You will also love that some of the food is locally produced such as honey and honeycomb from local beehives at Whale Beach, free range chickens and eggs, edible flowers and micro-herbs, and custom grown produce. While you are preparing for your wedding, don’t forget the wedding entertainment in the form of one of the best wedding bands around. Lily Road provides so much more than just your usual wedding singers or band. They provides the songs for weddings that people will remember and they are a Sydney wedding band that will liven up your special day and make it even more memorable than it already is.